Man, it's been a while since I've written. You have my apologies. Late summer and fall get so busy for me at work. But, that's work. I hope you all are doing well and I thank you for continuing to listen. I would love to hear from any of you and hear what you think of my songs. I am still working on new songs but I know it will be a slow process. My family needs to come first..... At any rate, please stay in touch with me through email. I love talking with you about the songs. God bless you all and, again, thank you for listening. 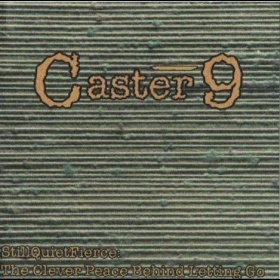 Thanks, as always, for listening and supporting Caster9. I am continually humbled and blessed to hear from you and know that you enjoy these songs. 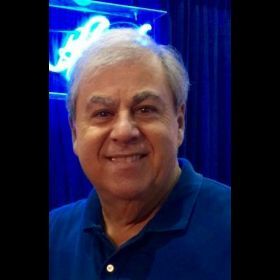 Please stay in touch with me and share your thoughts about the songs. Stay tuned for more updates. Be well and kind to one another. 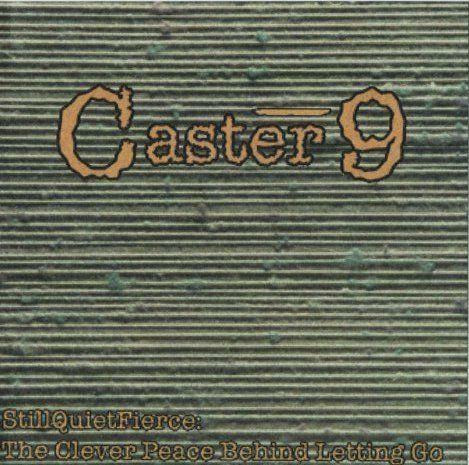 As always, thanks so much for subscribing to Caster9!! I am humbled by the number of people that are listening and liking these songs. Summer is in full swing and life is a bit less hectic and I am thankful. I'm hoping to finish up some schooling over the next month or two and still have some time to enjoy the nice weather. On the music side of things, I am still working on new material, though, it's coming slowly. Family and work must take priority right now. Please stay tuned for more updates. I hope you are all doing well and being kind to each other. Feel free to email me and let me know what you think of the songs or if you have any questions you'd like to ask. Until next time, be well. It is so great to see the subscribers number keep going up. I am humbled and grateful that you are listening. It was a busy weekend for us. Being that is was a beautiful Memorial Day weekend, we spent most of our time outside and with family. The weather was perfect all weekend long. As I sit and write this the rain is falling and the temps are a welcomed cool from the heat of the weekend. There is not much to report on the musical side of things. Life has been busy lately and I haven't had much time to focus on songs. Ideas are brewing though so I know more songs are soon to be developed. This week's song story is for the song, "From The Embrace." FTE is a song about a conversation I had with God, or better said, He had with me while my wife was pregnant with our first child. He gave me some clear guidelines and made me aware of things I needed to change in my life if I was going to be a good husband and dad. The first two verses are basically God talking to me and letting me know what I need to change. The third verse is my reply to Him. It's basic enough. Musically speaking, though, there are many different layers of instruments. This was on purpose. 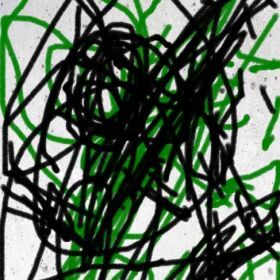 It represents all the paths we take in life and how only ONE path leads to Christ. The violins throughout the song represent the Holy Spirit and how He is constantly guiding and leading us even when we go astray and follow paths that aren't the best for us. You'll notice in the end "jam" of the song that the violins are there, then they're not and then they come in much stronger and more pronounced and eventually take over the theme of the music. All the other instruments fade and the violin is dominant. I see it that way in life as well. The Holy Spirit is always there leading us and nudging us in the way we should go, but we don't always listen. We find ourselves somewhere we don't want to be and cry out to be saved. He steps in and leads us back. The goal is to listen ONLY to Him and follow ONLY Him. When we walk in step with the Spirit (God, Jesus) all of life falls into place and things make much more sense. I hope you enjoy the song and are able to hear all of the layers a bit different now that you know the meaning behind the song. Be well and be kind to one another. Please keep listening and feel free to email me if you'd like. It's always nice to hear from you and hear what the songs mean to you. Take care. As always, thank you so much for listening and commenting through email. I appreciate all of you and your comments so please stay in touch. Things are going well here in WI. So far the day has gone much to my liking. Woke up to distant thunder and now the thunderstorm is passing over. I absolutely love mornings like this. It is a great day for sure. I hope you are all doing well and enjoying life as much as you can. We are only given so many days and we need to be thankful for the ones we have. This week's song story is for the song, "Anchor's Aweigh." This song, in a nutshell, is about all the different philosophies and religions out there. It seems there are bandwagons that people just line up for and it doesn't seem to take much to draw us all away from the Truth. I know in my core that God sent Jesus to save people from eternal separation from Him. I know without a doubt that Jesus died in my place to save me from my much deserved eternal death. I am confident that when I die I will be in the presence of the Great Creator. NOTHING on this earth; no religion, no false theology, no ill philosophy (as smart as they may sound) will draw me away from the Truth that is in my soul. I am hopeful in mankind that we could come together, even in our differences, and co-exist in a loving and peaceful way. But, that does me no eternal good. As a Christian I am called to love my enemies and do good to those who hurt me. You don't have to agree with me or my beliefs, that's fine. But Truth is Truth whether it is believed or not. "Heaven is what heaven will be, I'm just happy to go." I don't need to quarrel about religion and beliefs or argue with my brothers and sisters in Christ about the specific details of what heaven is. Nor do I need to debate the so called "contradictions" of the Bible. I will never claim to have all the answers nor will I pretend that I am greater than anyone else. God (Jesus, the Holy Spirit) is perfect and far beyond my understanding. How dare I try explain His mystery. I am simply humbled and grateful that He has loved the terrible sinner that I am and sent Jesus to bridge the gap between Himself and my wretched being. I am so undeserving and yet He loves me. There is nothing greater than that knowledge. Once this is understood, NO OTHER way of thinking compares. I hope you come to this understanding and, if you don't know Christ Jesus, come to know Him who is greater than anything the world could offer. I am reduced to humility to know that you guys are listening to these songs. I honestly thought no one would care. I recorded them simply for memories to share with my children and their children. God is great and will do with them and me as He pleases. Be well, everyone, and be kind to one another. Thank you, thank you!